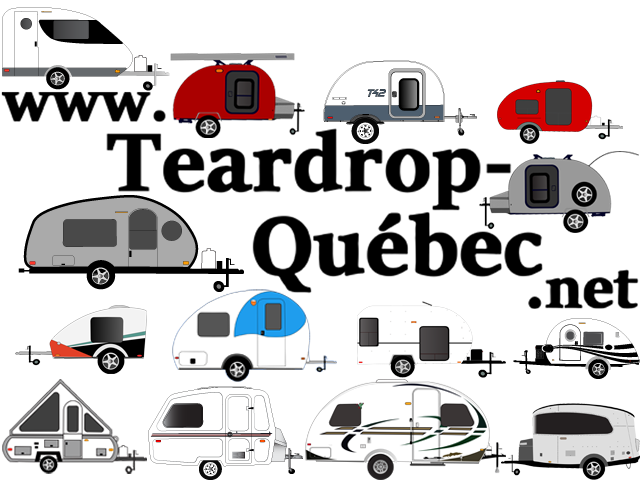 "It was made by Teardrop American, Inc. in Wenatchee, WA in 1989. By 1990, they were out of business, so they only had a run of a single year. 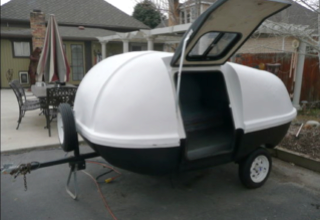 I thought that our new trailer was made of fiberglass, but it’s really polyethylene plastic. 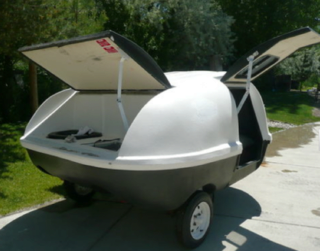 That plastic is strong, but incredibly light, so our trailer weighs approximately 350 pounds, making it even better for towing than a teardrop I could make out of wood (i.e. Trailer For Two or The Wild Goose)." C'est un concept original !